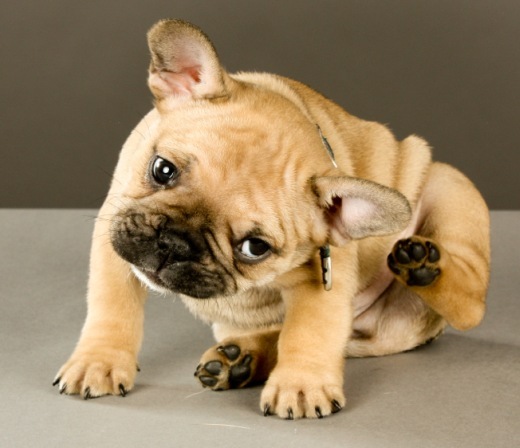 Does Your Pet Have Itching, Allergies, Pancreatitis or Digestive Problems? Even cheese that is organic or made from goat milk can be problematic for allergic pets. Many treats and pet foods contain dairy and cheese so read the labels carefully. If your pet displays any signs of itching, scratching, ear infections or digestive problems, AVOID CHEESE. If your pet has allergies, AllerEaze and Power Probiotic can provide fast relief of allergy symptoms. Many pets have unexplained vomiting and diarrhea and pet owners may conclude it is just "how the pet is". Vomiting and diarrhea can be symptoms of a much deeper problem such as inflammatory bowel disease and these symptoms need to be monitored closely. One of the biggest culprits for digestive problems are occasional treats containing food allergens such as cheese or wheat. If your pet has loose stool, vomiting, diarrhea, your pet may have food allergies or acid stomach. Gastro ULC and Power Probiotic can relieve acid stomach and digestive enzymes such as the Soothing Digestive Relief will firm up the stool. 3) Cheese is high in fat and can provoke a pancreatitis attack. Sometimes pets may be eating a low-fat diet for pancreatitis and yet the pet owner is using cheese to "hide" pills as a treat. Instead of cheese, try using canned pet food or a lower fat alternative. If your pet has pancreatitis, it is essential to use Lypozyme and/or the Pancreatitis Kit to aid digestion and the metabolism of fats and protein. 4) Cheese is highly caloric and can cause pets to gain weight. The majority of cats and dogs are overweight. Keeping your pet at the ideal weight will extend their life and the time you can spend with them. Excess weight can lead to health conditions such as diabetes, fatty liver, cancer and more. Instead of cheese, use low fat treats such as fish-based treats, vegetables or a piece of lean meat. If your pet has an odor, is licking at the groin area or is getting yeast infections in the ears, sugar is the worst food you can give them. Besides being a potential allergen, the cheese and mold enable the yeast to grow faster and stronger. It is not unusual for a pet to be given a piece of cheese or peanut butter and develop a yeast infection the very next day. Feed a fresh raw frozen diet or low carbohydrate canned food for best results if your pet has yeast. K9 Yeast Defense and Power Probiotic have been extremely helpful in controlling yeast overgrowth. What if your pet is having those problems and he's not getting cheese? My doxie is on a homemade diet with cooked turkey and dehydrated veggies. I'm wondering if he's not digesting the cooked turkey well? He has itchy ears, runny eyes, gas, burping, squishy poop and is CONSTANTLY licking his boy parts. He's had blood work and urine done and nothing is wrong? Confusing!